Welcome to the New Year! 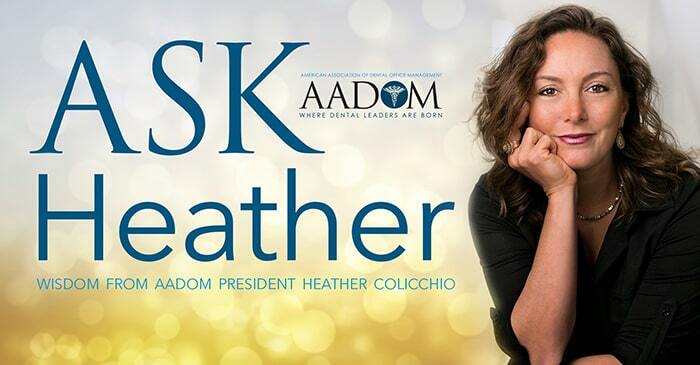 Like a lot of AADOM members around the country, you’re probably brainstorming with your dentists deciding what paths to take for your 2019 marketing calendar. From new patients to new services, your marketing strategy has a lot to do with growing your practice. Here are some important tips to help you get started. Are you going to be promoting more frequent same-day treatments with the CEREC machine you just invested in? Perhaps your dentist just got Invisalign certified and you want to recruit more adult orthodontic patients? Start with a game plan by listing exactly what facets of your practice you want to market the most. It doesn’t have be a service; it can be something as simple as the down-to-earth care that you promise to provide. Between PPC, SEO, radio, magazine ads, and social media marketing, it’s never been so easy to identify and connect with your key audience. Use the best medium to do so. If your site isn’t in the top one or two results when you do online searches, then consider partnering with a dental marketing team who can get you there. Be sure to take advantage of the skills your dental team carries with them. AADOM member Debbie Evans, Practice Administrator of Wainright & Wassel DDS, and President of the AADOM Triangle Area, North Carolina Chapter says that one of the best things she ever did was “[to hire] a new business team member who had a degree in communications and two years experience as a dental assistant.” Although she wanted to be an assistant initially, Debbie “convinced her to become [a] Social Media Specialist and Patient Care Coordinator…. We work together on coming up with different Facebook posts and other ways to market.” It’s important to designate someone on your team as the Social Media Manager. Be sure that that person is not the one setting up your accounts, though. There are practices where that person then leaves the practice and the office manager does not have the username or password to access the social media accounts! Set up the accounts and share the credentials. 20-somethings love vloggers – that is, video bloggers. If you’re tech savvy and not afraid to be on the camera, you and your team can easily upload vlogs to your website via YouTube or post to your Facebook page. Sites with videos and images tend to rank higher than those with only written copy. Refresh your online content and consistently add to your site search ability by having a weekly or monthly blog posted to your website. No time to write one yourself? Those can be outsourced as well! Marketing can get expensive if you’re not sure where to start. Most new practices can expect to spend as much as 15% of their gross revenue on advertising, while established practices may only need to invest around 10%. Once you have a fixed dollar amount set, you can decide how much to spend on different types of marketing resources. Start the year right with a fixed dollar amount in mind. One of the best ways to create brand familiarity and association with families in your community is to have your practice name and logo attached to things such as school events, local charity drives, neighborhood 5K runs, and community sports. For example, each time someone wears a T-shirt for their event and your logo is on the back of it, or your logo is on a banner during the high school basketball game, the people around are going to create a mental bookmark to your practice and your brand is more likely to come to their mind when they’re in need of a new dentist. You won’t see the results immediately, but that’s why you differentiate in your marketing strategies! Community partnerships are part of a long-term brand association payoff. Hope these tips help you start your practice marketing efforts off right! Next month we’ll dive a little deeper in Part 2 of “Your Practice Marketing Plan for 2019”. Thanks so much for your comment Linda, we’ll add this to the list of potential webcasts, great idea!